Call or Text Listing Agent - Jason Richards - The Real Estate Center of Spearfish - 605-381-1087 for more information. 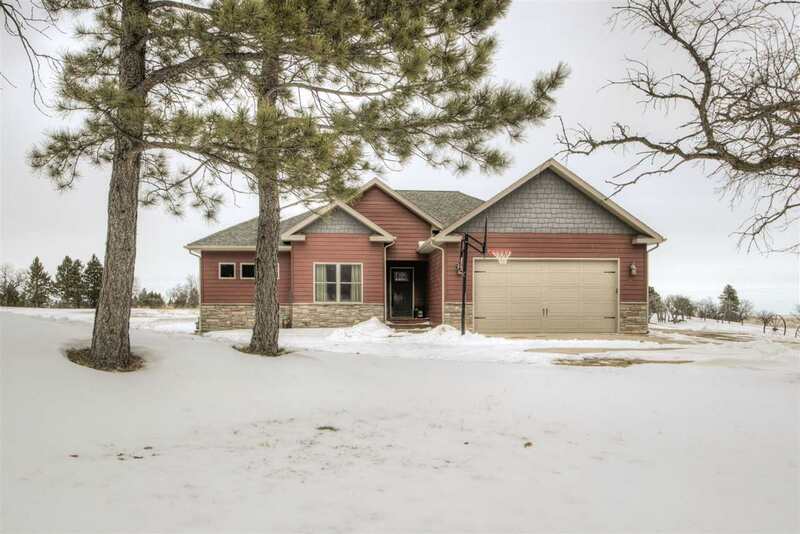 Beautiful country setting home in Spruce Mountain Estates II located just a couple miles outside of Whitewood! This well built 4-bedroom, 3- bath home is on 4.73 acres with a nice open floor-plan. The kitchen has quartz counter-tops, gas range, cherry cabinets and birch flooring with a large island for entertaining. Master bedroom has an attached bath with dual vanities, walk-in closet and walk-in shower. There is a covered deck to enjoy the amazing views of Bear Butte. The lower level is a walkout and is bright and open for entertaining complete with a fireplace and is even roughed in for a wet bar. A 32x40 shop with 14&apos; sidewalls has a finished concrete floor for all your recreational toys or shop space. There even is an attached chicken coop/dog pen.